Mind you, this is NOT my time of the year. I love the autumn weather, the colder nights, even the storms and the rain, but I seriously do not care for Halloween, zombies, fright night and what it all leads up to….. Christmas. And yet I have felt compelled to take pics with the awesome stuff that creators who obviously LIVE for this time of year have come up with… like the above mask by Katatonik, or the below creatures by Alrunia Ahn. 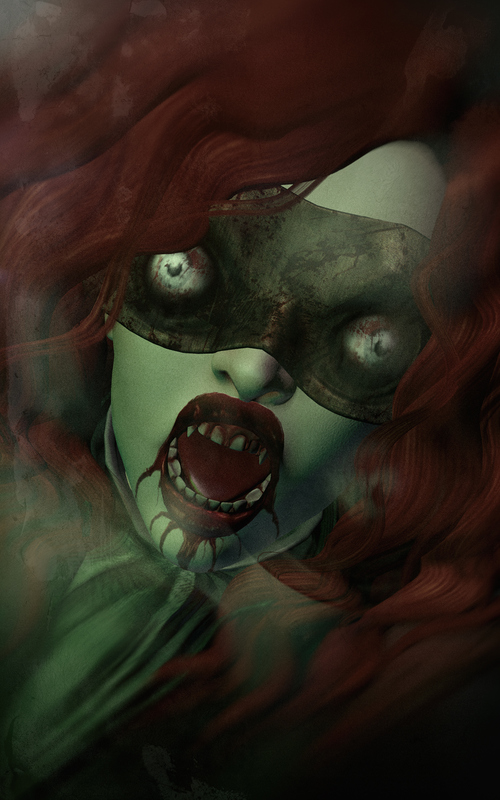 I took above pics for Lawrence Pryce’s Macabre halloween Challenge. If you do not follow Lawrence on Facebook or Flickr, you should, this man comes up with the best photography challenges! and then there is me just being plain October Vain… Lethally cute in Canimal‘s Goth set and Rama Salon‘s Saturday hair, both game at the first Pop Up edition of The Arcade. My flawless complexion as always is from Glam Affair, one of my recent favorites, Trecy, and I put on some bloody lips from Izzie!